Freddy Krueger (Robert Englund) is in hell - literally. It's been nearly ten years since Krueger, one of the scariest horror movie characters of all time (from A The Nightmare on Elm Street series), invaded peoples' dreams to exact his deadly form of revenge and murder. But now, his memory has been systematically erased by a town determined to put an end to Freddy once and for all. Potential victims have been drugged to prevent them from dreaming, rendering impotent the master of nightmares They've eliminated their fear of Freddy, absolute torture for an egomaniac psychopath who's a legend in his own mind. Like an inmate with a life sentence, Freddy's been reduced to plotting a fantastic revenge that will never happen. Until, that is, Freddy resurrects Jason Voorhees (Ken Kirzinger), the equally iconic madman from the Friday the 13th film series. Jason is the perfect means for Freddy to once again instill fear on Elm Street, creating a window of opportunity for him to emerge from his purgatory. Recognizing how easily manipulated Jason is, Freddy tricks Voorhees into journeying to Springwood to start a new reign of terror. 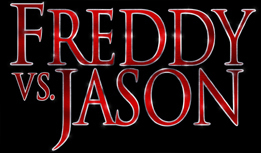 But as the bodies begin to pile up on Elm Street and Freddy's fearsome reputation assumes new life, he discovers that Jason isn't willing to cease his murderous ways and step aside so easily. Now, with a terrified town in the middle, the two titans of terror enter into a horrifying showdown of epic proportions, alternating between the world of dreams and the harsh reality of the living world. Freddy vs. Jason stars Monica Keena, Kelly Rowland, Jason Ritter, Christopher George Marquette, Lochlyn Munro, Katharine Isabelle, Brendan Fletcher, Zacharias Ward, Ken Kirzinger and Robert Englund as Freddy Krueger. Directed by Ronny Yu, the Hong Kong-based visionary behind the seminal The Bride With White Hair, as well as Bride of Chucky and Formula 51, and produced by Sean S. Cunningham (creator and producer of the legendary Friday the 13th series), Freddy vs. Jason is written by Damian Shannon & Mark Swift (based on characters created by Wes Craven and Victor Miller). The executive producers are Douglas Curtis and Robert Shaye, Stokely Chaffin and Renee Witt.